At the end of the day, none of these are revolutionary features. But the timing of today’s announcement surely isn’t a coincidence, given that Google announced the death of the consumer version of Google+ — and the data breach that went along with that — only a few days ago. Today’s announcement is clearly meant to be a reminder that Google+ for the enterprise isn’t going away and remains in active development. 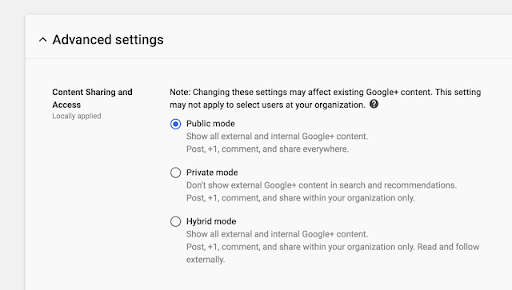 I don’t think all that many businesses currently use Google+, though, and with Hangouts Chat and other tools, they now have plenty of options for sharing content across groups.